As I write this blog, I realize there are those who would like to poach these wildflowers by digging them or picking the flowers. 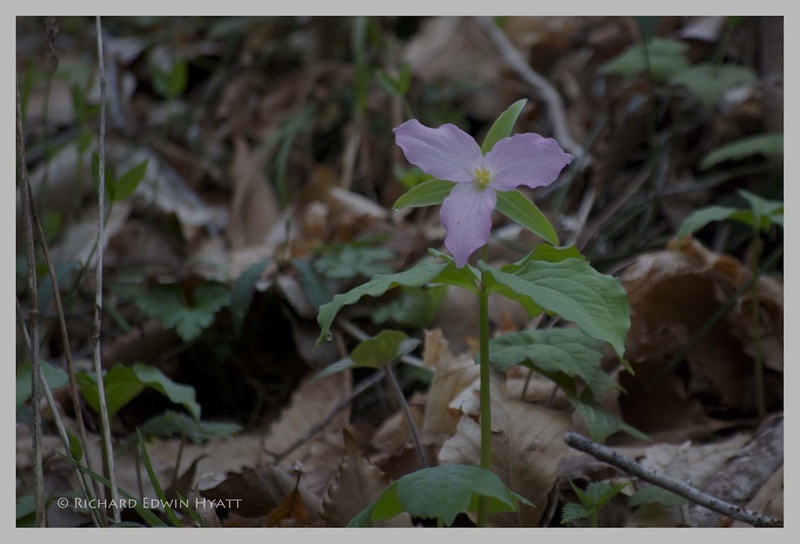 Picking a trillium wildflower will likely kill the plant. So, both digging and picking trillium will soon destroy the wildflower's habitat. In this blog, I plan on not giving too much information on where my photos are taken unless these flowers are in a well known place like a federal or state park or otherwise protected habitat, The less protected habitats will be listed only as a secret place, perhaps giving only the county or state for location information. As it ages, the Large Flower Trillium Trillium grandiflorum flower may change to a bluish violet as this one has. My photo here was shot in a secret place in Rabun County, Georgia. So happy to find your blog and thank you for visiting mine! I understand that you don't want to give out the info of where that little flower is located, people stupidly and thoughtlessly really do dig them up. I look foward to seeing more of the flowers that you see!